Just like the distillery, this moonshine whiskey is brand spanking new, and both are extremely welcome additions to New York City. Extremely small production and bottled only in 200ml flasks, this stuff exemplifies the bootlegged spirit of moonshine. Established in 2009 by partners David Haskell and Colin Spoelman, Kings County only started producing whiskey a few months ago. The spirit is distilled from New York corn grown in the Finger Lakes with a bit of premium Scottish barley and sees no oak. Pure and slightly creamy on the palate, the corn shines through with a touch of sweetness while a good dose of minerals dance across your tongue. Soft and beautifully refined, this stuff is just fun to drink and in the line of recently released white whiskeys, Kings County moonshine is definitely at the top of the list. 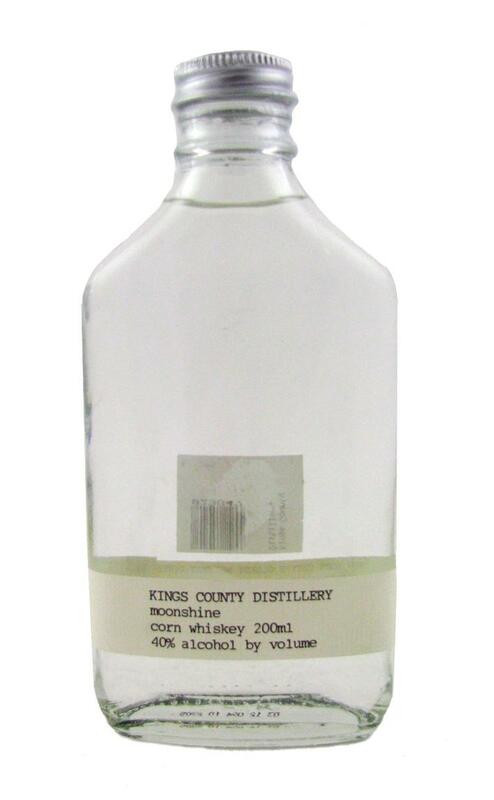 Notify me when Kings County Distillery Moonshine is back in stock.